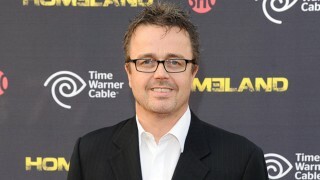 Emmy-winning composer Sean Callery is returning to score 24: Live Another Day. 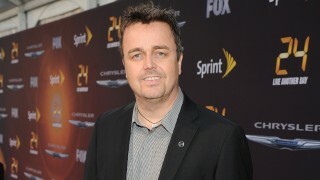 Sean Callery is attached to score the upcoming reboot of the long-running Fox hit series 24. 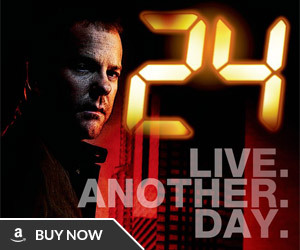 24: Live Another Day will tell a 24-hour story over 12 episodes that jump hours. 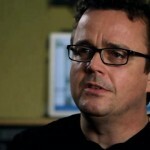 Callery previously composed the music for all 8 seasons and 192 episodes of the show from 2001 to 2008. Varese Sarabande released a number of soundtrack albums featuring the composer’s music from the series. 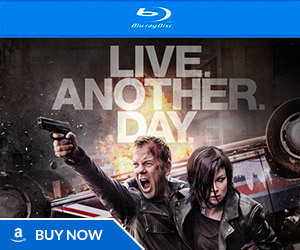 24: Live Another Day is set to premiere in May of 2014 on Fox. Source Film Music Reporter Thanks Jack, Andrew, and everyone else who sent this in! 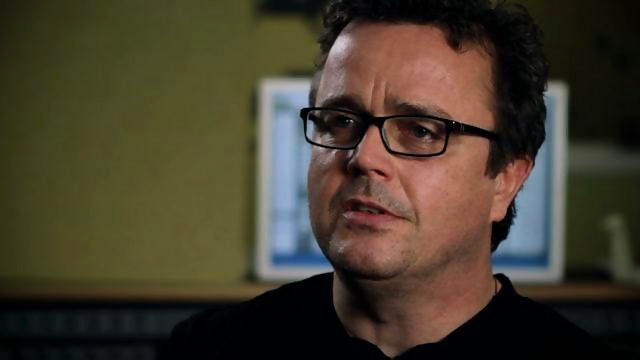 Composer Sean Callery teases that the conclusion of 24: Live Another Day is “going to be very exciting” and also discusses his approach to scoring the show. Another reason to remain totally positive and excited about ‘Live Another Day’… things seem to be slotting into place very nicely indeed, let’s hope Rodney Charters is not far behind! @Gerry Mander Speaking of pointing things out I’ve said this before I think this is their way of making up for the movie by doing this mini-series. & with Jon cassar back in the driver seat…. his directing is always well thought out & tries to do different things & with Kiefer back & the 24 team the series of sequels shouldn’t be far behind. 24’s return will most likely do well… I can move passed the movie if they do a series of sequels. I’m all for them doing a series of sequels even if it’s in the form of a mini-series. I think it’s a little early to be even thinking about sequels at this point, they haven’t even begun work on the limited series yet in any meaningful capacity and likely won’t do so until late summer or thereabouts. I still contend the movie was the natural progression for ’24’ and still lament it not happening (especially over a relatively modest $45m budget), but you’re probably right Joshua that ‘Live Another Day’ is their way of making amends, clearly FOX Television value ’24’ a lot more than FOX Filmed Entertainment do, and that’s perfectly understandable as ’24’ gave FOX Television some of it’s consistently biggest ever ratings for a drama, it’s only natural they’d jump at the chance to bring back what is arguably the jewel in their television drama crown right now. As for the narrative structure in ‘Live Another Day’ whereby hours will be jumped as and when the story demands, the first thing I thought of when I heard this was the 2006 movie outline that was hammered out by Joel Surnow, Robert Cochran, and Howard Gordon, and in which the story took place in three main locations and over a 24-hour period, what’s interesting about that idea (and according to Surnow himself) was the day didn’t happen in real-time BUT the action in the three main locations did… I’m wondering if this is the idea that Howard Gordon took to the the FOX and Imagine Entertainment people in his pitch earlier this year? Well actually it’s not early to be thinking about sequels 1 Kevin Railly put it out there that he believes 24 is franchiseable Saying “could there be sequels sure” I don’t think they fully have or will make decision until the first run is made…. 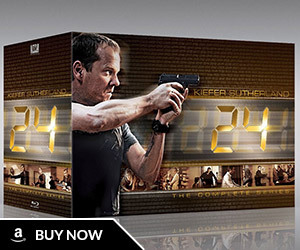 It’s been suggested already that 24 could make more then one run. If this is what they’ve implied even before making this one it’s certainly on the table. I can move passed the movie if this is to be the case. Which in this case sounds quite possible. Cause as of right now it sounds like there making the easier choice by continuing Jack Bauer in a mini-series. So there are many possibility’s here… & I’d be okay with the replacement of a movie for a series of sequels. Even if it’s a mini-series. The article says 2001-2008. They should have probably checked wikipedia, because the series ran from 2001-2010 and Callery even won his third Emmy in 2010. Bad research. I would much rather have a series of prequels to the mini-series format than a 24 movie and its sequels. There’s much more footage to watch, it will feel more ’24’ akin to the original series and especially with Sean Callery, Jon Cassar, Howard Gordon and many of the original writing staff at the helm. I feel like the espionage genre in film has been done to death where there are no original storylines. If ’24’ were to try and fit into the market as another Mission: Impossible, James Bond, Jason Bourne or Die Hard movie, then it would lose its identity and everything we remember that was so good about the TV format of ’24’ would be lost. In other words, I couldn’t be happier when May 2014 rolls around! Yeah but people who continually want Need to realize the writers have said many many times 24 is about moving the story forward not backwards. They will never go into Jacks past only back story…. this is something you will never see in 24. The story will always move forward. Totally agree with you there Joshua, 24 should always move forward, looking ahead not back, there’s no need to do a prequel and no story to tell either. Although Over Moon is bang on correct when he says the proposed 24 movie would have risked losing it’s identity if made for the big screen, there’s more than enough espionage thrillers out there, keep 24 on the small screen where it belongs, where a great story can be told over ten-plus hours rather than crammed into two, and where the unique format, strong characters, and distinctive look that made 24 what it was can be kept intact and uncompromised by having to appeal to as broad an audience as possible. Don’t look at Live Another Day as a limited series, look at it as a ten-hour feature film, broadcast on television as opposed to being released theatrically, and told in twelve parts, that’s how I’m looking at it anyway, and I hope how the production team will approach it. Well as long as they make a series of sequels which defiantly seems very possible. I will move passed the movie they seem to have made decision that a movie is not in the cards anymore. only a series of sequels starting with this first run. If they make a long life with these sequels. Then the need for a movie won’t matter as much. & in this case it seems like it’s on the table. & that’s a positive start. David Fury just posted a Twitter on his account that work on ‘Live Another Day’ begins THIS VERY MONDAY – https://twitter.com/TheDavidFury/status/350389743177039872 – hold on to your hats folks, and so it begins… best of luck to all involved, swing for the fences guys! Thanks for the heads up! good to know to the earlier they start the better the story will be! Can’t wait!!! I’m amazed at how they’re going to be breaking the story already. That’s a whole six months they have to prepare and the script of the entire season will be written before production begins! Which is a huge luxury and is sure to make the next ’24’ story as great as it can possibly be. I suspect it will take 5 months to film (January – May) since 24 episodes takes 10 months. However, they could be wrapped much sooner than that given the amount of time they don’t have a ‘mad rush to September’ as Howard Gordon put it. I hear that FOX is still in negotiations with Manny Coto and Bob Cochran for executive producer / writer positions, and since they start back in the writer’s room on Monday, do you think these two will have finalised their contracts in time for day 1 of Live Another Day? As far as I’ve read I also believe howard has this on his twitter Bob is in du know about manny…. Actually in the article about the writers starting monday. The following writers are confirmed. Howard Gordon, David Fury, Evan Katz, Manny Coto, and series co-creator Robert Cochran. Over Moon dude, depending on when they start production in January (I’m betting early Jan), a five-month production would take them into June, which is when I’m thinking the shoot will likely wrap. Each episode is basically a month in post-production, so if ‘Live Another Day’ begins airing in May, with the first and last two episodes shown back-to-back, that means eight weeks of broadcast for the whole series, ergo it should end around July sometime… giving the production team a month of post between filming wrapping and the finale being broadcast, at least, that’s how it usually worked out back in the series. I just hope they strongly consider sequels here. It’s on the table they’ve thrown that out there… But it would be a huge bummer if they did all this work for one run.